Termites are social insects that are known to have lived for more than a thousand years. They are known as “silent destroyer” for their ability to chew through wood, flooring and even wallpaper unseen. At first, they start looking for a good place to make their nest, and after they have found one, they start moving to their new location. You can never know their presence on your property until they have caused disastrous changes to your property. Their smooth moves are difficult to detect without any professional assistance. If you want to get rid of them, call for a free termite infestation inspection with our company, Latin American exterminating. Do not panic if you come across them, just be calm and go for a termite infestation removal. To remove them from your property, you must know how they appear on your property and for that you should have known about the signs of termites. Recognizing the signs is not only going to help to identify their presence, but you also can avoid them in the future days. For that, you need to know how they appear on your property. Termites shelter tubes on the walls or anything that is plain. They create the tunnels to use it as a shield from the predators that prey on the termites. They have a peculiar way of generating these tubes. They usually prefer doing it during the nightfall when they are less likely to debilitate. The tubes are easy to identify. If you come across such tubes, call Latin American Exterminating for immediate assistance. They start off by feeding on the interior of any structure, and this would create a bubble beneath the paint or coating of the structure. Walls might crack due to the termites. If you come across any such sign, it undoubtedly is done by the termites! Do not panic over the fact that your property is infested by termites, just call Latin American Exterminating for a free inspection at least! Other signs include stuck windows or door due to the termite infestation, excessively groggy and fragile floorboards that could give away any moment due to the termite incursion. If you come across any such signs, do not hesitate to call termite control at Latin American Exterminating for immediate assistance. They provide you with easy methods to eliminate termites from your property. Well, if you want to lead a peaceful life, call our agency asap! Make an appointment with us and create a risk- free ambiance for the rest of your life! Termites are considered to be biocidal to the property as well as for life. After a considerable investment made in your homes, any damages caused by the termites cost more than a billion in a year, so to mitigate the disablement caused to your house by them, you must do away with these creatures at the very first sight. Do not panic, when you encounter with them at first! You can call Latin American Exterminating, who possess an excellent skill in decimating termites. We possess more than 20 years of termite control experience. We even have experiences of removing spiders, bed bugs and cockroaches from the infected property. Termites happen to be a more serious case. In that situation, we have our experts who have mastered the skill of termite infestation removal. You can without any doubt, call our agency! Kill the colony now before they can enjoy the dinner on your home. Latin American exterminating pledges to protect your homes. 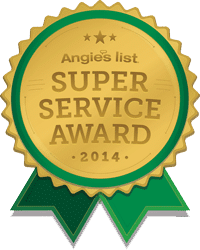 We deliver our service like no other agency, so all you have to do is trust us with exterminating the pest infestation in your house. You must make yourself a better tomorrow, and for that, you must advance yourself towards our service! After all, it’s your dream house that we are talking about! Make a smart call, lead a pest-free life!